Joburg offers everything from pavement dining to five-star gourmet cuisine. Whether you are here for one day or many, these are ten essential culinary experiences to plan your trip around. Joburgers like to rise with the birds and business meet­ings held at 07:30 are not unheard of, which explains why breakfast out is such an institution. Wake up early and join the locals at a neighbourhood café. Enjoy eggs, fresh bread and some avocado on the side, washed down with a freshly pressed juice and a strong and flavourful coffee at Parkview’s Croft & Co or Braamfontein’s Post. Check out our Cafes guide for more options. Coffee is not just a drink in Joburg, it’s a lifestyle and this city really knows how to make a decent brew. The local scene is dominated by independent coffee roasters who use single-source or blended Fair Trade (mostly) African beans. A bag of freshly ground coffee also makes a great souvenir. Buy some at Bean There at 44 Stanley in Milpark or Rosebank’s Father Coffee. 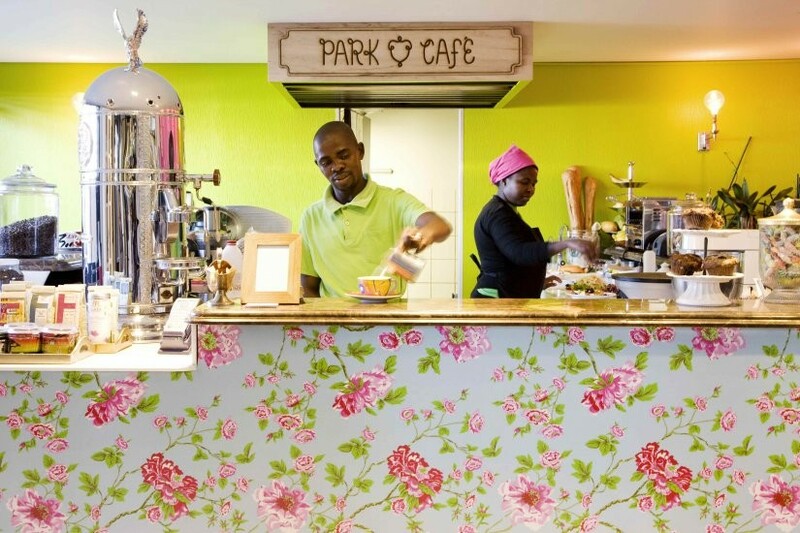 See our coffee shops guide, for more caffeine havens in Joburg. Head to one of Joburg’s lively weekend markets for a street food-style lunch and great people-watching opportunities. Whether it’s a downtown hipster hangout like Market on Main in Maboneng, the family-friendly Bryanston Natu­ral and Organic Market, or the rooftop Rosebank Sun­day Market, you can find just about any taste you dream up, from gourmet bunny chows to Thai curries, Spanish pa­ella to Serbian sausages and pulled pork sandwiches. Live music is also often part of the experience. Read our guide to Joburg's market scene here. 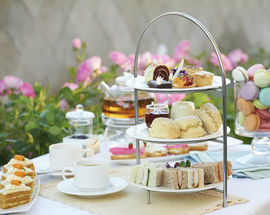 For the lightest and fluffiest scones spread with home­made jam and clotted cream, crustless cucumber ribbon sandwiches, petite quiches, pastel pink macarons, dainty Victoria sponges and miniature Sacher torte – visit one of Joburg’s many luxury hotels for a leisurely afternoon tea or head out of town for a countryside high tea experience. 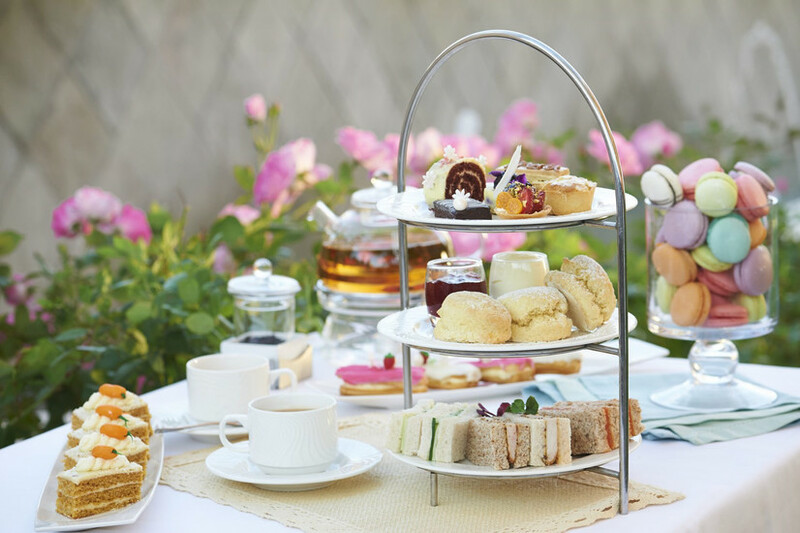 Read our guide to the best place in Joburg to enjoy High Tea here. Not all delicious things need be eaten at a restaurant. Farmhouse cheeses, freshly baked croissants and that most South African of snacks, biltong (spiced dried meat with a hint of coriander), are perfect for when you’re on the go. 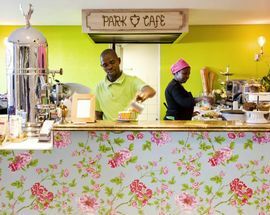 Whether you’re self-catering, packing the cooler box in preparation for a road trip or filling up your picnic basket for an afternoon at the park, Joburg offers a great selection of delis and bakeries that should satisfy your every need. Check out list of great delis in Joburg here, for the perfect picnic basket. If you enjoy red meat you won’t be disappointed. 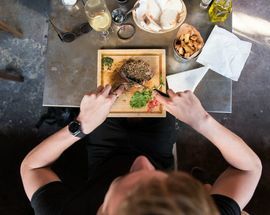 Joburg is a meat-loving city and grain-fed, lazy-aged prime cuts are the order of the day. 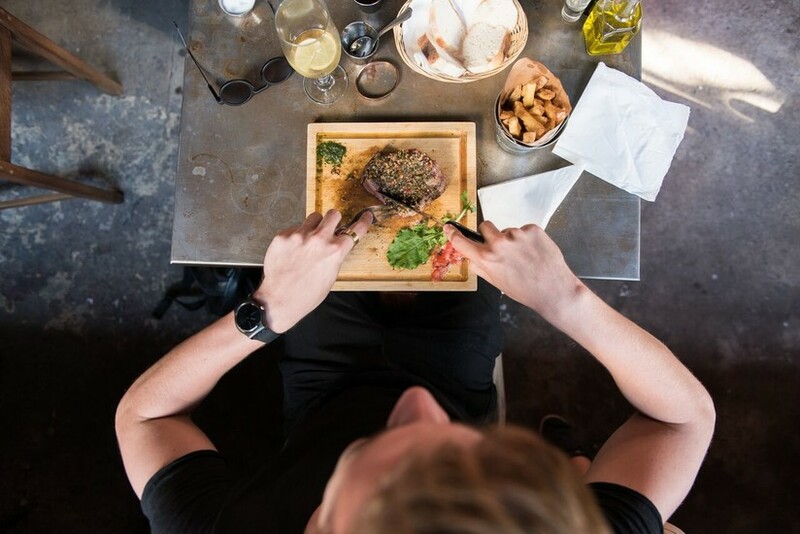 Head to one of the city’s many famous steakhouses, like the newly relocated Wombles now in Bryanston, for an unforgettable rump, sirloin or fillet. For the most traditional South African experience en­joy your steak with pap (maize porridge) and tomato gravy. Browse our steakhouse listings online here for more ideas on where to get your red meat fix. South Africa produces some fabulous wines and at the city’s top fine-dining establishments such as Grei at the Saxon Hotels, Villas & Spa you can opt for an extravagant tasting menu complete with a finely tailored wine (or tea) pairing. Other restaurants with notable wine menus include David Higgs’s celebrated ‘live fire restaurant’ Marble, View at Four Seasons Hotel The Westcliff, and Hyatt Regency’s oneNINEone. Ever since Joburg’s founding in the gold rush year of 1886, the city has continued to be shaped by its immigrant communities from Europe, Asia and other parts of the African continent. 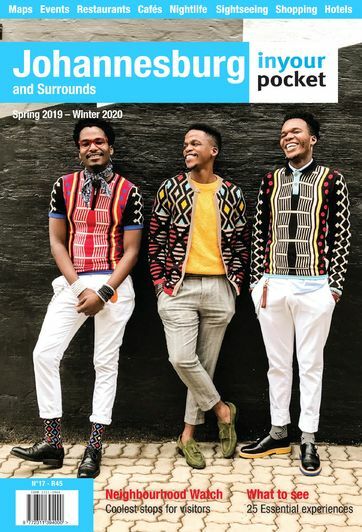 Take a stroll along colourful Derrick Avenue in Cyrildene, Joburg’s burgeoning new Chinatown; visit the traditionally Indian neighbourhood Fordsburg for spicy curries and biryani from the Indian subcontinent; or sample specialities from central and west Africa on a tour of pan-African Yeoville with tour company Dlala Nje. Head to Little Addis in the city centre (between Rahima Moosa and Troye Streets) for traditional Ethiopian coffee and cuisine. While food is always a priority, dining at a stylish location can add to the experience. From the no-expense-spared, design-magazine-worthy shrines to charming bohemian neighbourhood hangouts, you are never far from an Instagram-worthy restaurant. For chic interiors and a cosmopolitan crowd, visit Tashas on Nelson Mandela Square, Café del Sol TRE and Urbanologi, or for a more casual lunch in quirky and colourful surroundings try the retro African-styled Milk Bar or Melville’s pizzeria The Ant. Shisa nyama is a Zulu word – literally meaning ‘burn meat’ – used to describe the popular ‘buy and braai’-style venues found across South Africa. Choose your own meat at the butchery and then have it barbecued to your exact specifications. At many township shisa nyamas you’ll also find DJs, beer gardens and even car washes, and a great party atmosphere at weekends. Soweto is one of the best places to enjoy shisa nyama, among the most famous shisa nyama hangouts is Chaf Pozi.